Toby Jones Fishing: Wont' be long now! Marianne, her sister Tillie, and I are flying out bright and early tomorrow morning. Our final destination... CABO! San Jose Del Cabo to be exact... We are going to be there for five wonderful days, soaking up the sun, eating awesome food, and best of all... FISHING! It has always been one of my dreams to catch a marlin, and it is my hope that this will be the trip when it finally happens. The past couple of years Cabo has experienced some of the best striped marlin fishing in history, unfortunatly however, this winter has been different. 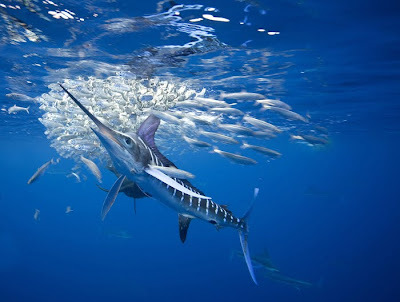 This year's El Nino has changed the water tempertures enough that there have not been nearly as many marlin caught. Still, there is a chance... and I can't think of a better place to catch my first marlin than Cabo San Lucas. I'm keeping my fingers crossed. Besides the marlin fishing, I am planning to do plenty of other fishing on this trip as well. I have my surf-fishing, travel rod packed with a bag full of lures, and a nice new Shimano Stradic spooled up and ready to go. 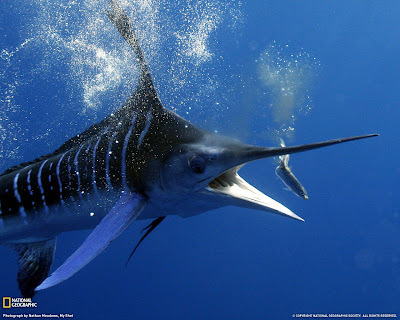 I'm hoping to get into some good beach fishing action for sierra (spanish) mackerel, possibly some big jacks, and if all the stars are aligned perfectly--I might get a shot at a roosterfish. If things aren't going well from the surf, I may try to book a day fishing from a panga (small boat) hoping for better chances. Right now I feel like a kid on the night before Christmas... Still, whatever happens, we are going to have an awesome trip... Did I mention that I'm excited, lol. Hopefully I will have lots of stories and some great pictures to share when I get back.